This is a quick, flavorful way to cook chicken. Pair it with some Mexican-spiced rice or quinoa for a perfect weeknight meal! Pour olive oil into a large skillet and heat over medium-high heat until it is almost smoking. Add the chicken and let it cook undisturbed until it is nicely browned on the bottom. Sprinkle the chicken generously with cumin and chili powder. Let chicken cook for 1-2 more minutes, until it is white halfway through the pieces. Turn the chicken and cook for 2-3 more minutes until it has browned. Reduce heat to medium-low and sprinkle on the lime zest and garlic. Stir lightly and cook for 2-3 more minutes, making sure the garlic does not burn. Once the chicken is cooked through, add the lime juice and stir up the browned bits from the pan. 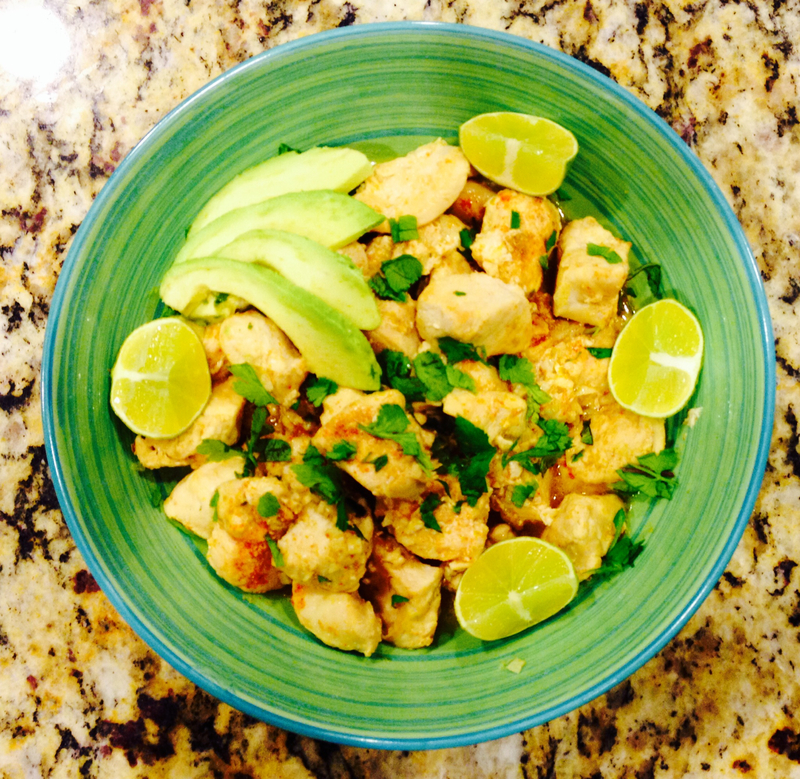 Place chicken in a bowl and sprinkle with cilantro. Serve with sliced avocado and lime wedges. Enjoy! Recipe adapted from Our Life in the Kitchen.